Slovenia a small country in size, but big in soul. It was not until long ago that I regarded Slovenia as not a decent tourist destination. I’ve never been so wrong in my life! Eight months ago I finally decided to go to Slovenia together with my wife, and we stayed there for five days. Sadly, it was too late when I realised that five days were not enough to visit all the cool places in Slovenia. However, I did my research and visited the most extraordinary sites! 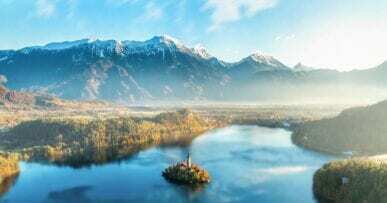 So, if you plan to travel to Slovenia, here is a quick travellers guide! 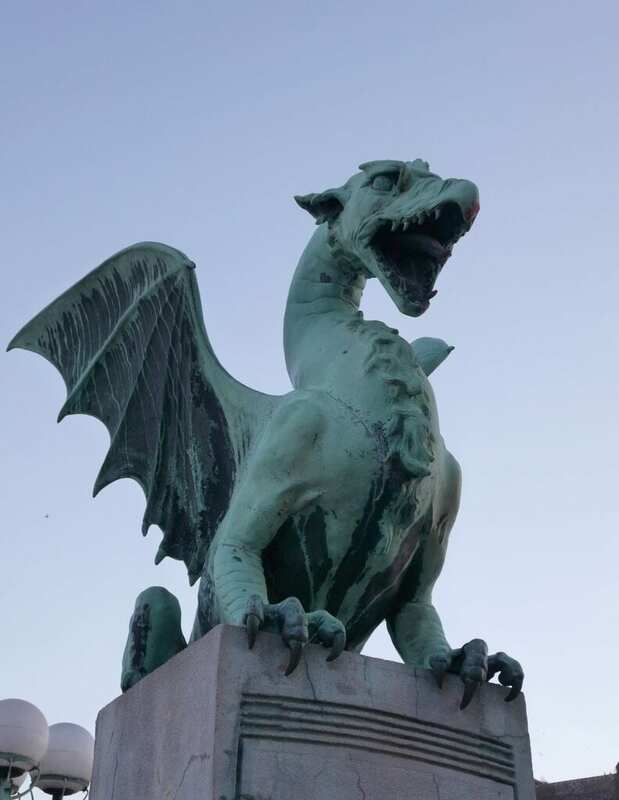 A lot of people don’t realise that Ljubljana is the cleanest city in Europe. Moreover, if you ask me, I would say the world because I have been places. The streets are all clean, and there are trees all around! Also, people are friendly and cultured. They answered all my questions, about directions, places to visit and even had a locally brewed beer with some of them. In Ljubljana, you can notice different nationalities from all over the world, not only Europe. It is a university city, and there are students everywhere. You see them on their bikes, riding fast to reach their class in time. Or sitting in coffee shops or restaurants near Ljubljanica river drinking beverages and laughing with their friends. Also, if you look for a place to relax and eat launch, sit down in any restaurant near the Ljubljanica river and enjoy a good meal with a perfect view. If you really want to know Ljubljana, just look at the buildings there. The architecture is simply breathtaking. Ljubljana architecture is a mix of different periods and styles. You will go through a historical trip like never before, where you can find ancient architecture from Roman rule, architecture from the Austro-Hungarian Empire up to modern 21st-century designs. Prešeren Square is the main square of Ljubljana. It is small, yet it paints the real picture of Slovenia – love, culture, and progress. You can find the statue of national poet France Prešeren there. I’ve talked with some local folks and found out that he created the backbones of modern Slovenian literature. 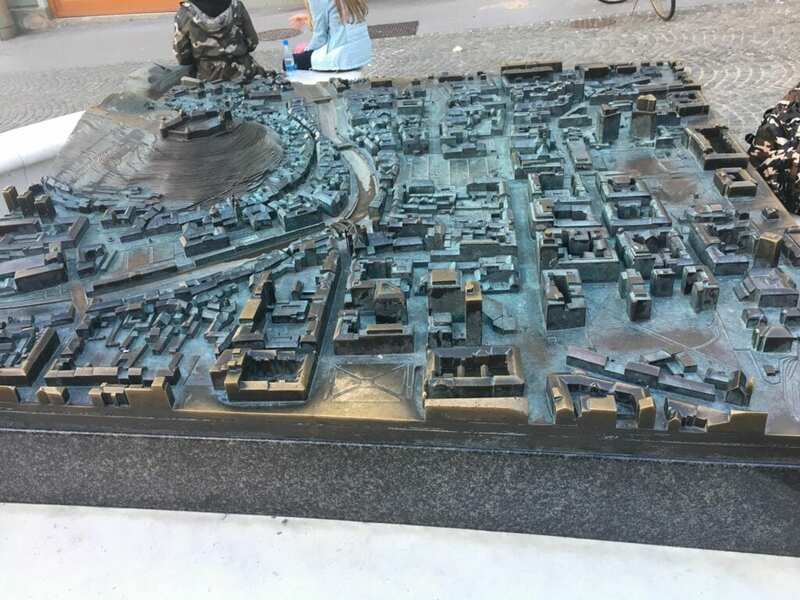 Also, there is one cool detail at Preseren Square – there is a bronze scale model of Ljubljana located there. Honestly, it looks like Game of Thrones city scale model! 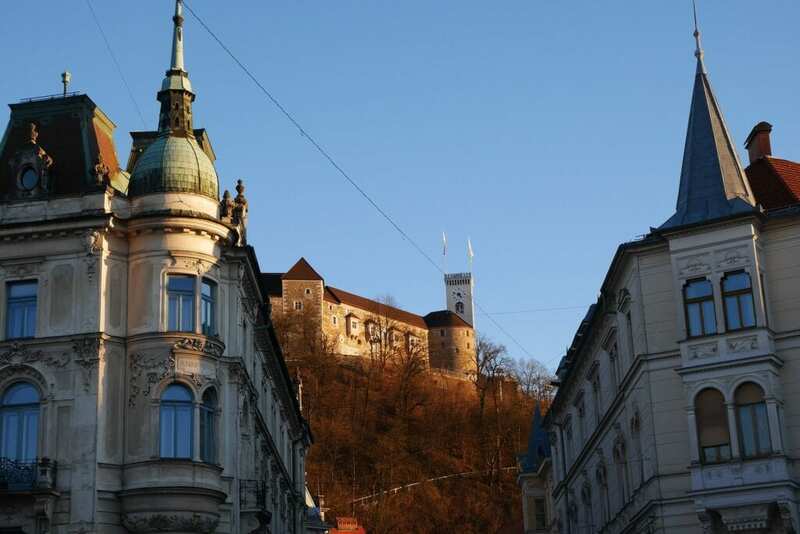 The main tourist attraction in Ljubljana is the castle, you can find tourists there anytime! Who doesn’t want to see a cool medieval castle? Also, the view, it is priceless. Seeing all the city from there makes your heart full of happiness and glad that you’ve chosen Slovenia as your travel destination! Generally, you can walk freely around the castle, but there are some restricted areas as well. If you want to visit the castle, you either have to walk (the hard way) or take a funicular ( the easy way). Inside the castle, you can find many restaurants and cafes so you can make a break from the long walk. Also, in the castle is located the museum of the national history of Slovenia. If you want to learn more about their past – visiting is a must! Additionally, if you want to know more about the history of the Castle take a guided tour, you will not regret it! Finally, if you want to get the best city view from the castle, wait till sunset! The sun hides behind mountains offering you the most romantic sunset in Europe! Ljubljana is a cultural city, with many museums to visit. Like I mentioned before, the most famous museum is the one located at the castle. However, from all the museums I visited there, the Museum of Illusion was the place where I had the most fun. Illusions everywhere. 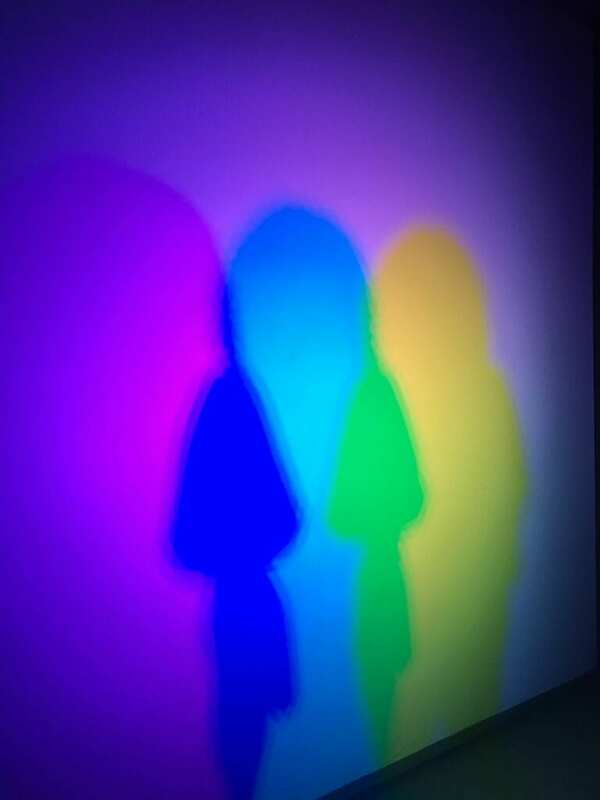 I took many good photos and some of the exhibits left me speechless. There are many bridges in Ljubljana that attract tourist to them. Furthermore, these bridges are old and have history hidden inside of them. One bridge that excited me more than others was the Dragon Bridge. It felt like I was living in Westeros, and at any moment I would see Khalisi flying with her dragons! Another bridge I visited was the Triple bridge. It is part of the old town of Ljubljana, connects the old town with Prešeren Square. Like every other Balkan country they have kebabs. I went to the most famous kebab stand in Ljubljana – Kebapci. I ate five of them, and I wanted more. I highly recommend to try them, at least five, even if you think it is too much for you, you will not regret it at the end! In the cold mounts in Slovenia, people eat soups. One of their best is – a soup of greatness. It is made from potatoes, salt & pepper, garlic, kidney beans and sauerkraut. It tastes amazing, and if you plan to cook it at home you will only need 10 minutes! Or like the call it – kremshnita. The best cream cake in Slovenia. It originally came from the town Bled and in time spread to all parts of Slovenia. It became the most famous national sweet. Kremshnita is made from dough stuffed with a layer of vanilla and cream. Simply delicious. When you eat, it is like eating a cloud, but with extra sweetness inside. If you are in Slovenia, do not forget to try this tasty sweet! 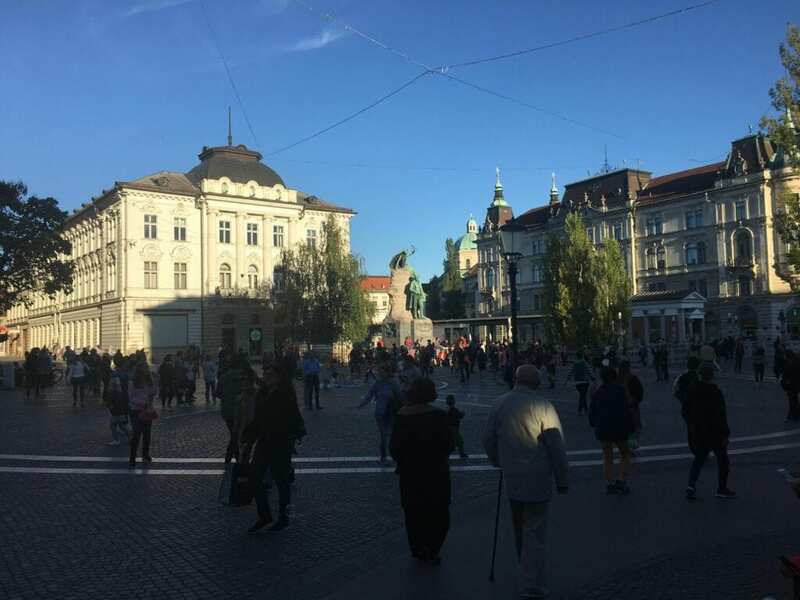 Ljubljana is an excellent travel destination. If you want to relive a part of Europe that has mixed styles, excellent nightlife and tasty food book your travel as fast as you can. I hope you like my first part guide of Slovenia. There will be more – Bled lakes and Koper in Part II. If you come in autumn or winter, be sure to bring warm clothes, temperatures might go under zero Celsius. The food is not so expensive. However, some restaurants near the Ljubljanica river can really hurt your wallet. With so many students from all around the world, there is always a party going somewhere. Also, their beer will make you fall in love with Slovenian nightlife! If you want to be in the center of the city, you will pay more. I stayed at Hotel Centraal, friendly stuff and reliable prices (even though it was pricy the location was great). It really pays off in the end because being in the center of Ljubljana makes traveling easier!